In 1918, a lady who was working in a white man’s property, was given the work of preparing okra. She sorted out the okra and threw out the waste. The white man got angry and slapped her because he said she should not have thrown anything away. In response to that offensive incident the Panyabo clan from which she came, gathered together with the clan which places curses on people. They sat in a circle, slaughtered a black chicken, took its beheaded body and invoked a curse on the white people. These two clans then made an oath that no foreigner would ever have settle in Morobo, nor have success there. True to this word, Morobo, which is the nearest county to the border with Uganda and DR Congo, has never experienced much in terms of development. Morobo which is also situated in the most fertile part of Southern Sudan, has not maximized its potential in Agriculture and food production. Surprisingly, every organization which has come into southern Sudan, by-passes Morobo and goes to set up in Yei and other towns and villages. The only organization which has stayed in Morobo is SCOM at Kanyara Worship Centre. Morobo County has only one secondary school in a one-block building. There are very few primary schools and the health facilities are virtually non-existent. The curse has held on to the land. Following a season of prayer concerning the redemptive purpose for Morobo, in a conversation with one pastor from Morobo area, Hedi of Shekinah Foundation was narrated to, about that incident that took place many years ago. As she prayed about it, the Lord revealed that this incident is one of the areas which set precedence for the lack of development in Morobo county. In response, she wrote a letter to Pr. 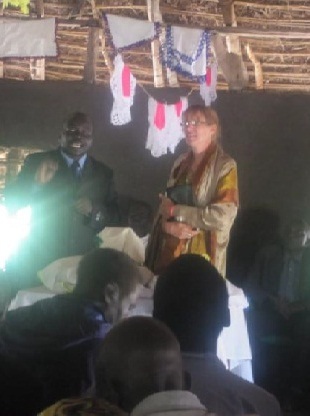 Immanuel of SPC Yei to help organize a meeting where she would seek repentance on behalf of the white man and foreigners in general, and seek for forgiveness from the offended clan, and the people of Southern Sudan in general. Her offer was accepted and the fellowship of church leaders embraced the idea and a day of Prayer and reconciliation was set for 15th April 2011. 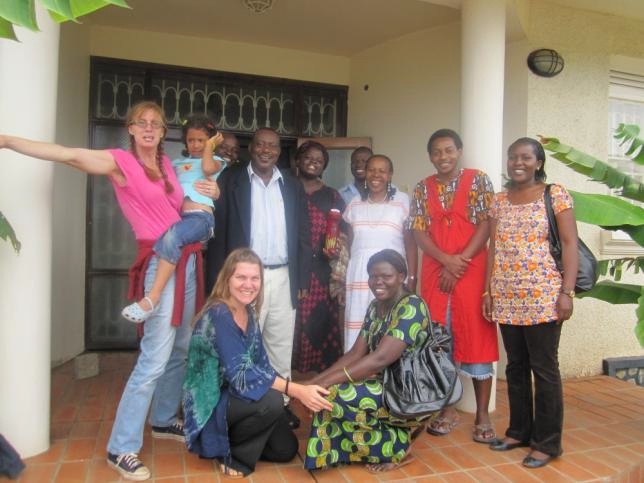 Hedi and a team of six persons from Uganda, Kenya and Paraguay also attended the meeting. 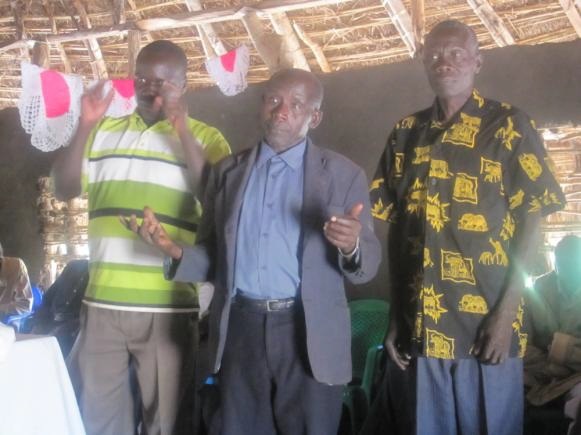 Having accepted the reconciliation and repentance, the Panyabo clan representatives had a discussion with the Shekinah Foundation and Church leaders fellowship representatives where they pledged to go back and gather their entire Panyabo clan, and the clan which specializes in placing curses. They would share the activities that had taken place at Ombasi Keliko meeting, and seek repentance from God for the curses that they have invoked on their land which have hindered development. Shekinah foundation and the church fellowship leaders offered to contribute a goat and some food supplies and some help to facilitate that particular meeting. Observation We believe that in seeking forgiveness and reconciliation the Lord will begin to move in a mighty way over the land of Morobo and by extension across the New Sudan. Also the response by the Panyabo clan, to go back and carry out their own repentance at clan level, is the first fruit of this reconciliation. It is our prayer that this action which will have a domino effect across Morobo. As more people witness the effects of this action, then they too will go back and do likewise. 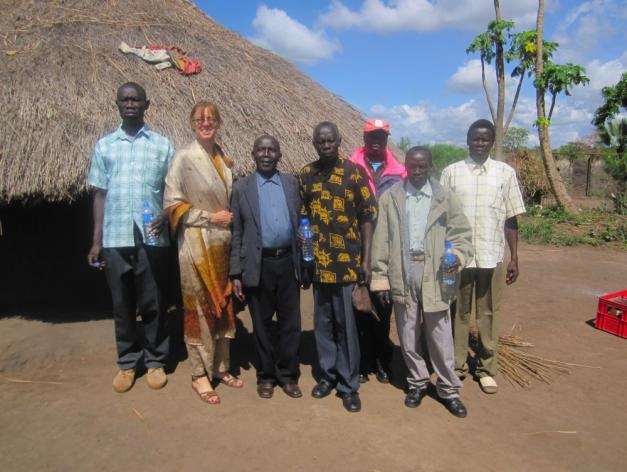 On 13th four members had a day’s trip to Yei to get acquainted with the town. On 14th the team had a fact finding mission in nearby areas of of Morobo county including the Ombasi Keliko Primary school. It is more than 50 years old and has only 3 government teachers and 5 volunteers who manage 400 pupils. The government transferred the last head teacher so the school has no head teacher. Then they went to a clinic which serving the entire Morobo county i.e. from Kaya to Gulumbi. They had two nurses and one mid-wife who communicates only in Arabic. She was transferred from Yei so there is a language barrier. One nurse just died on 13th while we were there. All patients who were admitted ran away in fear. This is a huge loss to the community at large. The team had a safe trip back on 16-17th April 2011. We are thankful for all the prayer support received from various friends who were aware of the meeting. We believe that the other projects planned for Morobo and Ombasi Keliko in particular will be able to take off with much more promise following the prayer day and continued intercession for the region. We continue to listen for what the Lord God is directing us to do in order to do our small part in the rebuilding of Morobo county and Southern Sudan in general. Yesterday we arrived back safely from our trip to Sudan, Morobo, the historical site of our ambush 5 years ago, and a place that is going to be transformed, as you will read on. Let me write you short what has happened. Shekinah enjoyed the trip exceptionally, and we were all most of the time healty. 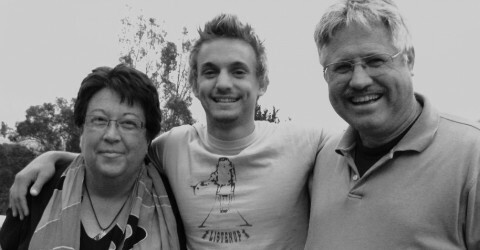 I took a team with us of some future missionaries for Sudan. Salome a missionary daughter of friends of mine for the last 15 years, she is going to graduate Community work end of this year, during some periods of her long university years we have been able to support her financially. Faith, who was one of my disciples when I lived in Gulu, Northern Uganda, a former LRA, a sweet lovely woman of God, she was sponsored by friends in Bermuda and will graduate as a Lab technician this June. Pr George, a Kenyan Mennonite pastor who has had a burden for Sudan over 6 years, he has wife and 4 children. Lilli, my strongest Kenyan friend and support during most of my latest challenges over the last 6 years, who has been with me several times in Sudan, writes our book, and has been strongly involved with things developing in Morobo. On the way we also met with Rose, who will be the first on this team actually settling I Morobo, she is the daughter of the late Pr Christopher Banja, the one who says that she carries the mantle of her dad, she will be graduating Micro finances in June. I never knew that all of these one day would be joining us in this vision of helping Sudan give birth to its new nation. It took us 2 and half days to reach Morobo, and sure enough we were exhousted by than. After a few hours of rest the team started to enjoy and explore the place. During the next few days the team visited the humble Hospital and discovered that there is no lab experienced worker, and very few tools, they would receive Faith with open arms, as well as a doctor, nurse’s tools etc. Salome would be a perfect person to do all types of empowerment and encouragement in the community. We also bought trees ad planted as team our first 28 trees at the mission’s land that was given to me or as it is now called, the Shekinah foundation. The most important reason of our tour, besides helping the future missionaries on their spying and prayer trip, was the day of Reconciliation on the 15th of April. This surely became a historical event. Background: Last year when I spent a few months in Sudan I searched for more information why Morobo is so strategic, but at the same time so seemingly dark. Than I was told the story that happened alms thundered years ago, of a white man slapping the face of the wife of a chief in Morobo. After that the clan of the chief had come together, slaughtered a black chicken and spoken out oracles that from now on, no foreign people should be able to settle in this land of Morobo which is a whole county of Sudan. Since than exactly that has happened, most NGOs and other foreigners as they pass through Morobo, which is at the border of 3 nations, therefore an entry gate, but almost no one has stopped to settle or to help at this county. I felt that I as a white person should go to Morobo and ask for forgiveness, standing in the gap for all the whites that have abused, enslaved humiliated and exploited Morobo and Southern Sudan. The big day: With this agenda, the my pastors friends invited chiefs and members of that offended tribe, as well as witnesses from all churches and authorities in Morobo. We were a congregation of about 140 people. I cried when God helped me feel the pain in his heart about white men so often having misinterpreted and misrepresented him. After repenting, and washing the feet of the representatives of that clan, they stood up in shock and said they had never known that there is something like this. They spook out forgiveness and simultaniously realized that they were responsible for the lack of development in their county; all repented and asked us to return and bring all our friends, to help the nation to be built up again. Than we all prayed for the healing of the land, rededicating it to God, and praying for the new nation of Sudan. We celebrated the Holy Communion, and than celebrated with a big meal we had organized. We strongly believe that this was a historical moment in Morobo, and they shall see what they have asked, their county shall become a land of peace and prosperity, which is the lemma of their county, and it can even become the bread basket of Sudan, there is unspeakable agricultural possibilities, as well as in all areas of development. Thank the Lord with us, that he has led us and brought us back safely.